Spoilers! I love soft boiled eggs. One thing you noticed in San Francisco is that a number of the newer places that are popping up are clearly influenced by the the "country-industrial chic" aesthetic that has permeated Williamsburg and other Brooklyn environs. Reclaimed wood and steel, exposed brick with a heavy influence of modern design is standard fair in Brooklyn. It is interesting to see it happening in San Francisco. Craftsman and Wolves, which opened in 2010, considers itself a "contemporary patisserie" and is a prime example the Williamsburg influence. Start with the name, Craftsman and Wolves. It makes you think of a dark enchanted forest and a blacksmith who must use his strength and skills to save his beloved. It does not make you think a place that has coffee, tea and cakes for hipsters and people shopping in The Mission District. All kidding aside, it would be very easy, and lazy, to poke fun at Craftsman and Wolves. While it is hip and design conscious to a fault, it is also a striking space making some great food. The venue has soaring ceilings, sky lights, exposed brick and wooden beam supports. The old warehouse feel is counter balanced with black counter tops and tables along with polished metal fixtures and presentation cases. Call it the modern antique look. 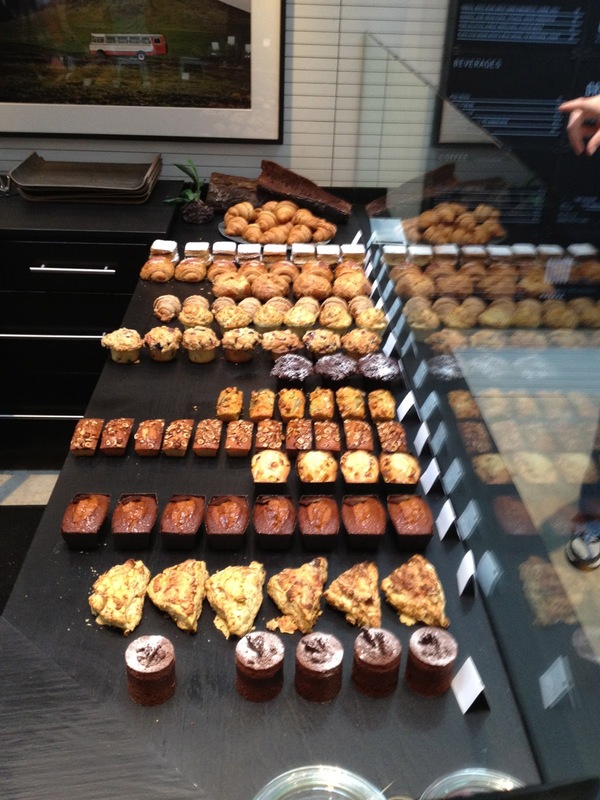 Craftsman and Wolves is first and foremost a bakery. They have sweet and savory muffins, pastries and cakes. Traditional items like a blueberry muffin are given a twist with the addition of browned butter. Scones come in flavors like apple and gruyere. Even financiers are available in flavors like kimchi, peanut and caramelized hazelnut. The the attention to detail in the presentation of the food matches the the thought and creativity that goes into the recipies. Some of Craftsman and Wolves' signature items are their Cube Cakes. They come in flavors running from chocolate, caramel and Vietnamese cinnamon to buckwheat, Concord grape and Peanut Butter. 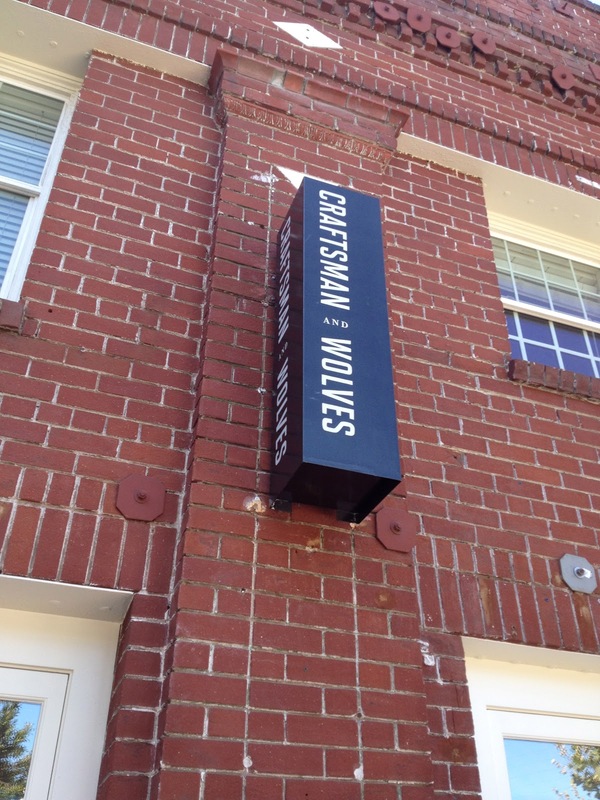 Craftsman and Wolves serves Sight Glass coffee (another warehouse chic spot. More on them later) and NaiveTea tea. They also make a mean Strawberry Lemonade Agua Fresca. But I came to Craftsman and Wolves with one item on my mind. The Rebel Within. The little gelee on the plate is one of their house made Pate De Fruit. 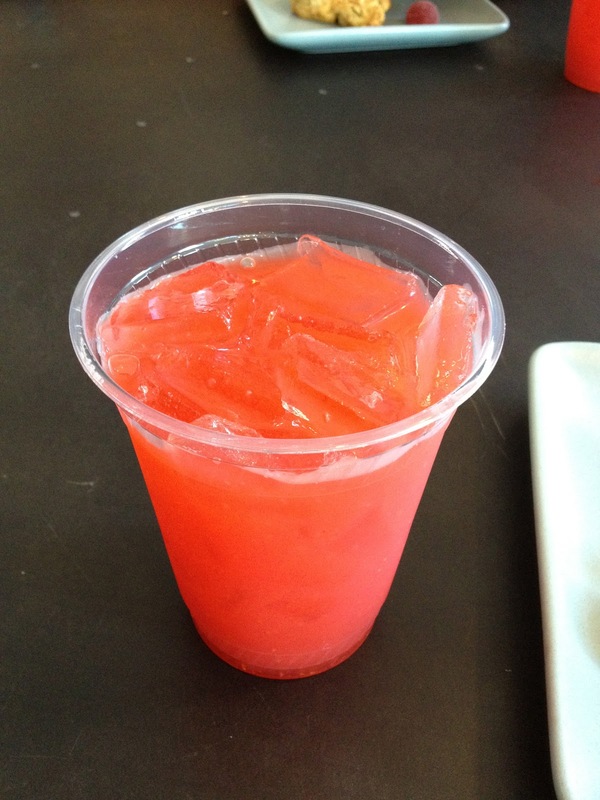 It was seasonal berry and it was wonderful. The muffin is The Rebel Within. It is a muffin studded with sausage, herbs and cheese. This would make it worthwhile alone. But there is a surprise. Spoilers. A soft boiled egg baked into the middle of it. Seriously. Stunning. How do they do it? I have no idea. But it is amazing. I have a hard enough time getting a soft boiled egg perfectly cooked in a good restaurant. This one is perfectly cooked, inside a savory muffin. Bravo! Craftsman and Wolves sets the bar high then jumps right over it. Can't wait to see what they will do for their next magic trick. Whatever it is, I am sure it will taste good. 18th and Valencia has definitely changed since I was last in the Mission District. Are you serious with that soft-boiled egg inside a sausage muffin?! Wow. You'll discover it a beneficial purchase. powered by squarespace that measure up to their potential and make laundry day easy. best washer dryer sure your clean washing comes out top rated washer and dryer You do not should be a genius to work this water-dryer, washer and dryer buying guide you'll be tough pushed to locate a far better bargain. visit our website detergent into a foam prior to it strikes the drum. You need to write an assignment on a local food stores. Check this site https://anassignmenthelp.com/ and learn how it should be done! By participating in the survey the company is providing an opportunity for you to speak with an open mind. By the survey, the company can know the satisfaction level of the customer about their products and their services. Chances are that you’ve spent good time on theme customizations, setting up plug-ins, creating pages, writing posts, and adding images and other things.